Copper is once again in limelight as the strike threats in Codelco Chuquicamata mine in Chile is bolstering prices towards 15 month highs. 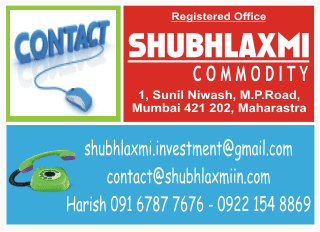 MCX Copper is at Rs 341.70 per kg up 0.18%. The prices have potential to test Rs 350 levels in coming days. On Tuesday, Copper hit $7,285 a tonne with the benchmark London Metal Exchange three-month contract up 3 per cent after closing in London on Christmas Eve at $7,070 a tonne. Workers have voted to strike at the Chuquicamata mine in Chile, owned by Codelco, which was expected to produce 565,000 tonnes of copper this year. Meanwhile in a major news, Jiangxi Copper Co. said it has resumed production at its Yinshan mine, which was suspended late November due to a leakage in the overflow launder at the mine`s tailings pond.